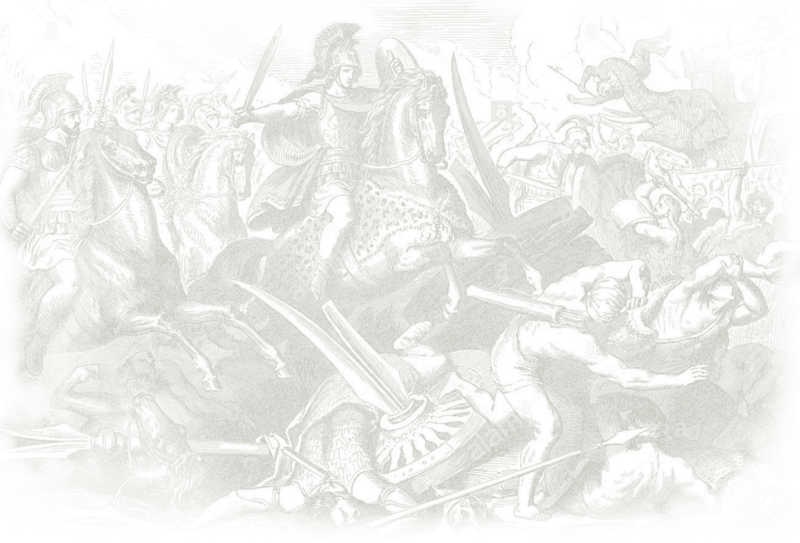 Conceived in the land before time, some 250-millions-years ago, when the earth itself was a bright and exuberant child, still morphing and pulsating with each passing day, and when dinosaurs reigned supreme over the earth. The prehistoric sturgeon was born, nestled in the heart of the nutrient filled waters of the Caspian sea, and there it remains to this day. The sturgeon, which forms part of 27 Acipenseriformes species, is the official king of the Caspian sea. 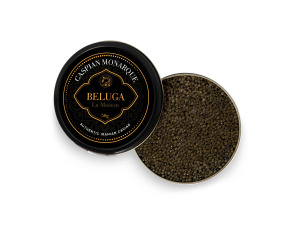 The Huso Huso (Beluga sturgeon) and its other caviar producing cousins, are at their best when allowed to floric in and absorb the myriad nutrients found in these most precious of waters. With a history so rich in fables and mythology, the sturgeon and its jewel like roe have been the favored delicacy of royalty and nobleman, from the ancient kingdoms of Persia and Greece, to the absolute monarchs of Russia and France, during the days of the Bourbon Dynasty. 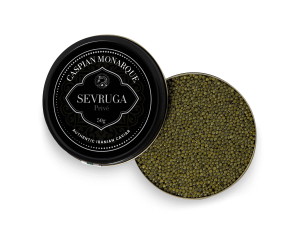 As with all rare gems, the origins of Caspian caviar, as a gastronomic mother of pearl, are steeped in legend, with some saying it was Alexander the Great who first saw the benefits of this prehistoric appetizer and others that it was the Ancient Persians, who found, by way of pure accident, that the sturgeons roe was abundant in health benefits, the perfect food for those equally feared and respected warriors of the Orient. Today, the breeding, production and selling of sturgeon caviar is a complex and nuanced affair, that must be orchestrated under the stringent rules of CITES, the Convention on International Trade in Endangered Species. However, it is a sad fact that much of the caviar consumed is either bred in far flung destinations, with the sturgeon removed from its natural habitat, or are hybridized versions, which lack the distinct qualities and health benefits found in true Caspian caviar. 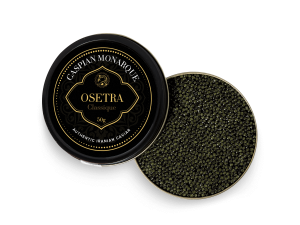 With Caspian Monarque, you are getting purity, you are able to sample the evocative and esteemed taste of Iranian caviar that is unsullied and abounds in nutritional goodness. Why? Because we breed our sturgeons - the Beluga, Osetra and Sevruga, in the rich and verdant waters of the Caspian sea. 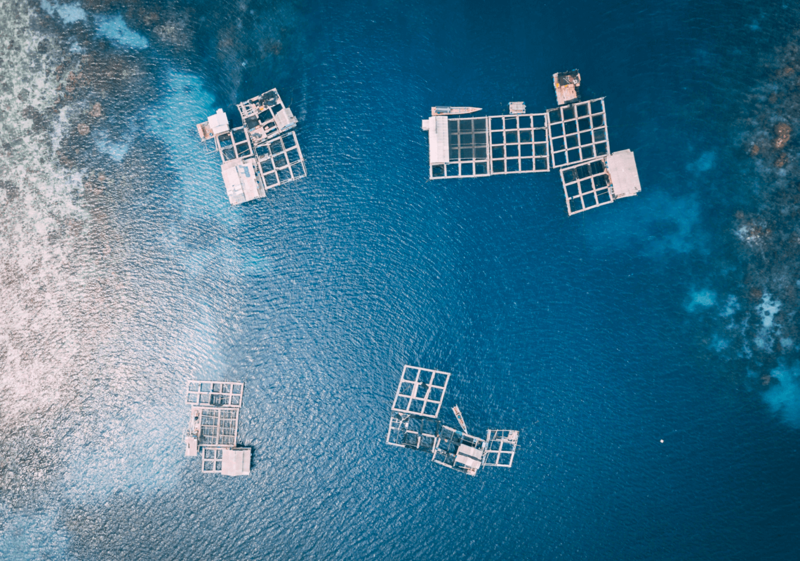 Without hesitation, the way Caspian Monarque breeds and processes its sturgeons is the most organic and eco-friendly, lending each roe the majestical and unique qualities that one can only find in sturgeons bred in the Caspian sea. All of our sturgeons are bred and reared in the ancient and highly revered Caspian sea, on the shores of the Iranian coast. The sturgeons prehistoric home, where it can gather all those essential vitamins needed to produce the finest caviar. We process our Iranian caviar using an age old Persian recipe, which limits the salt and gives the same taste as experienced by those regal men of ages past. 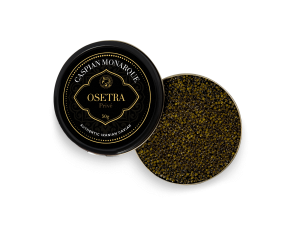 We use the latest technology to ensure our caviar is packed and shipped without depleting any of the aroma, flavor or, most importantly, nutrient value. Our team, who breed and process our caviar are highly trained artisans, with fisherman whose skills have been passed down for centuries and processors who have undergone over a decade of training.